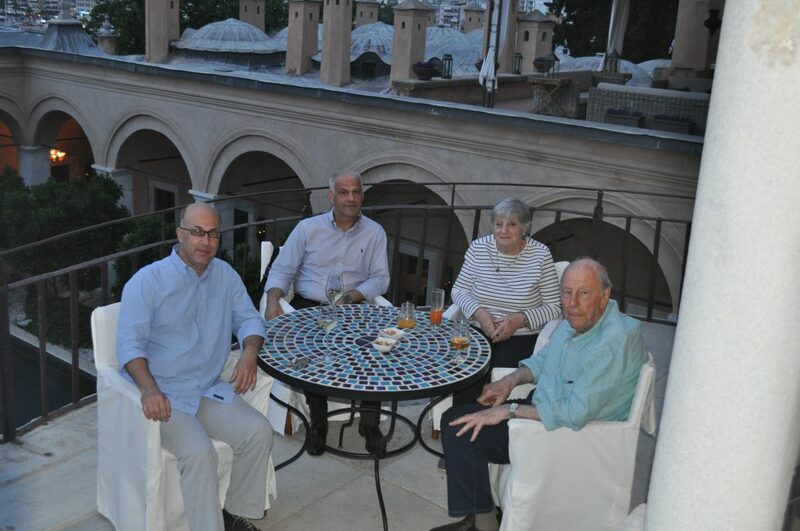 The 4th family for the Great War … here in our land, Macedonia Front and the North Aegean. Our story continues! «The 4th family in succession, this time Alan Peacock’s, honored their ancestors – warriors of the «Great War» … here in our land, Macedonia and the North Aegean. Craving for the quest of any clue to keep the tradition and history of a nation alive has always been a sign of a great civilisation and culture. It is a great pleasure for us to be able to support this quest (it is aviation history after all!) in any possible way – we have experienced this pleasure three times already – especially when it has been initiated by people who search for the story of members of their family during WWI, in our land. This time the fact that a son was researching the story of his father made this whole endeavour unique! That was what prompted Alan and Gloria Peacock from Ireland to plan their trip to (Kavala) Greece after contacting Paschalis Palavouzis, teacher and distinguished researcher of Aviation History, and coming in touch with members of what has turned into a “fraternity”, the result of the “alliance” between Britain and Greece via the “Bristol Scout: Rebuilding History” project and the “Aristides Moraitinis” Aeroclub co-operation in 2016. Thus, Alan started adding new facts of his father trajectory during war to his collection, besides what was inherited to him by his father. You see… that was not enough for such a unique, genuine and resistant to all time changes personality like the one we saw in Alan. In the meanwhile, let’s get to know the main character of our story through evidence given to us by his son. 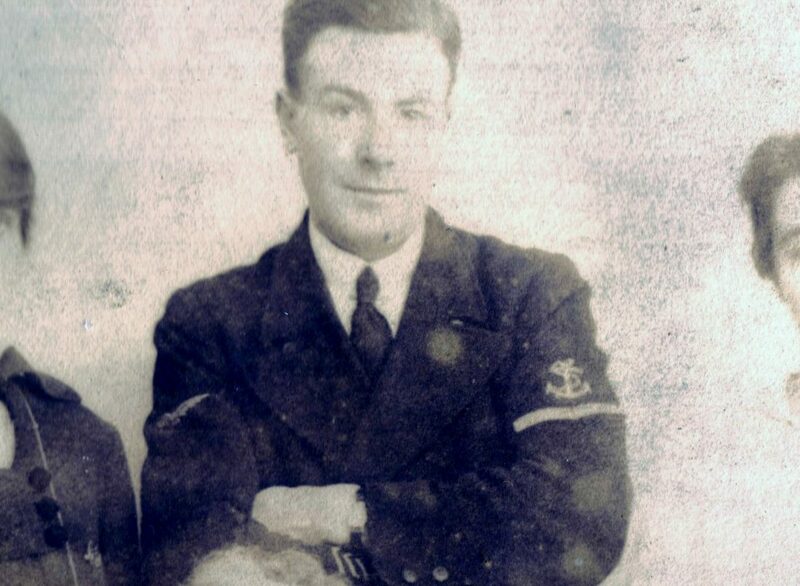 Herbert John (Jack) Peacock, F287 Royal Naval Air Service (RNAS) and 200287 Royal Air Force (RAF) (1889 – 1959). Jack joined the RNAS in September 1914 aged 26, one month after the declaration of the Great War. After initial training in Kent, England he was posted to 2 Wing “C” Flight RNAS with the rank of Air Mechanic 1 Grade Engine Fitter to RNAS Mudros, which was his accounting station. His photo album has pictures from Imbros, Thasos, Limnos and Stavros but apart from Imbros there are no dates known for his various postings. 2 Wing arrived on Imbros at the end of august 1915 with 16 aircraft and 200 ground personnel. He left the Aegean on the 16th of August 1917 and was posted to RNAS Mullion in Cornwall until February 1918. 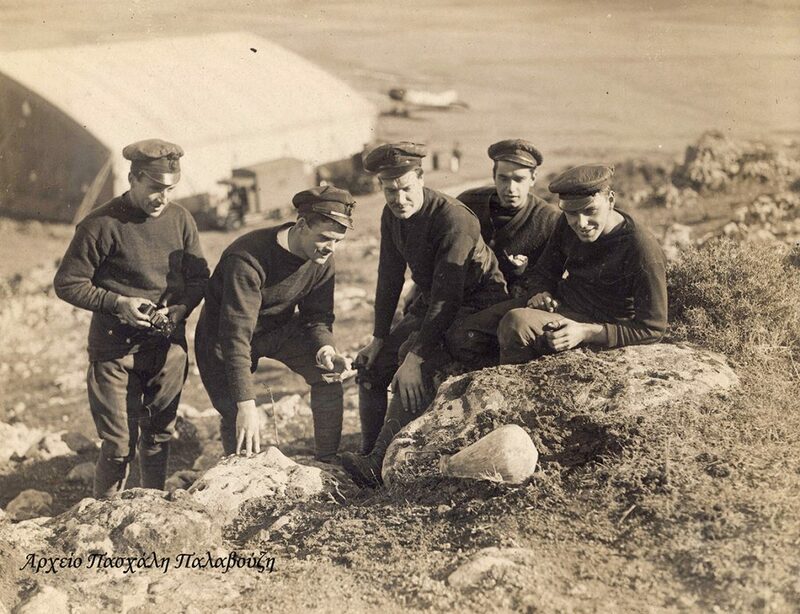 Herbert John Reacock (in the middle of the photo) along with his peers from the RNAS in Imvros, behind shed “C”, after the air strike on the 25th of December 1915 (as a “christmas gift” from the German-Ottoman), smiling (unaware of the danger?) and looking at one of the bombs which did not explode. Beside the shed you can see an Avro 504C of the 2nd Wing…. The RNAS and Royal Flying Corps amalgamated to form the RAF in April 1918 and his service with the RAF started on that day. His first posting with the RAF was to Eastern England and Southern Scotland where he flew as Flight Engineer on the airships C6, C*4 and R26 where he amassed 400 hours on flying patrols over the North Sea. When the war ended in November 1918 he had various postings to Scampton, Tadcaster and Copmanthorpe. In 1920 he was with No. 25 Sq equipped with Sopwith Snipes. The Squadron left for Turkey in 1922 but he was posted to Iraq for a total of three years with 45 and 84 Squadrons at Hinaidi and Shaibah. Back to England in 1925 to RAF Netheravon with 11 Squadron and then to Risalpur in India in 1928 with 11 Squadron flying Westland Wapitis, later replace with Hawker Harts. The Peacock family, now one wife and four sons returned to England in 1933 and after a brief stay at North Weald moved to RAF Abingdon where he was Station Flight Sergeant until he retired in 1939 after 25 years’ service. 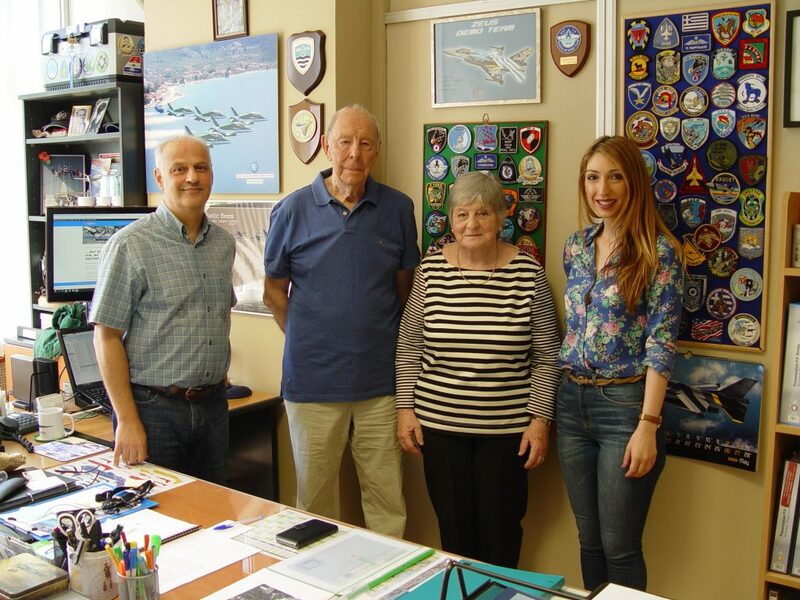 Alan and Gloria flew from Ireland to Kavala after a stop in Great Britain, on the 18th of May 2018. Having Imaret Hotel as their base and Paschalis Palavouzis as their guide, they visited the memorial of WWI Aviators in the area of the historical airbase in Prinos Thasos, as well as Xanthi (both the city and Porto Lagos), Stavros in Chalkidiki and the town of Drama. They also paid a visit to all the organisers of the Kavala Air/Sea Show at their offices located in the Prefecture of East Macedonia and Thrace (Department of Kavala) building. Their trip lasted eight days altogether. Alan Peacock is now 85 years old and the link between himself and aviation is not just the fact that he has been one of the four boys of the air mechanic, born in India in 1933. Being a witness of the strafing of a German fighter pilot, flying his Messerschmitt bf-109 on an extremely low level … has been a unique experience for a 7-year old boy during the Battle of Britain in 1940. He did his national service during the cold war, serving with the famous RAF “firebirds” 56 Squadron, flying the Gloster Meteors and Supermarine Swifts. Then, he worked as a fuel and lube special chemist for purposes related to aviation for the NATO in Brussels and Germany. Alan and Gloria have been together for many years now. Gloria, being a strong and independent woman herself, has always admired Alan’s passion for aviation. Alan’s quest for his father’s story has become part of her life and she has become an active member of this quest. She says that all this makes Alan feel happy and alive and you cannot help but notice that big smile on his face every time he discovers something new!